Tiling Two: Brain Battle is almost ready. In sharing the original cell images, I thought you might enjoy finding their reflections, rotations and groupings in the finished piece, which I will post later today. 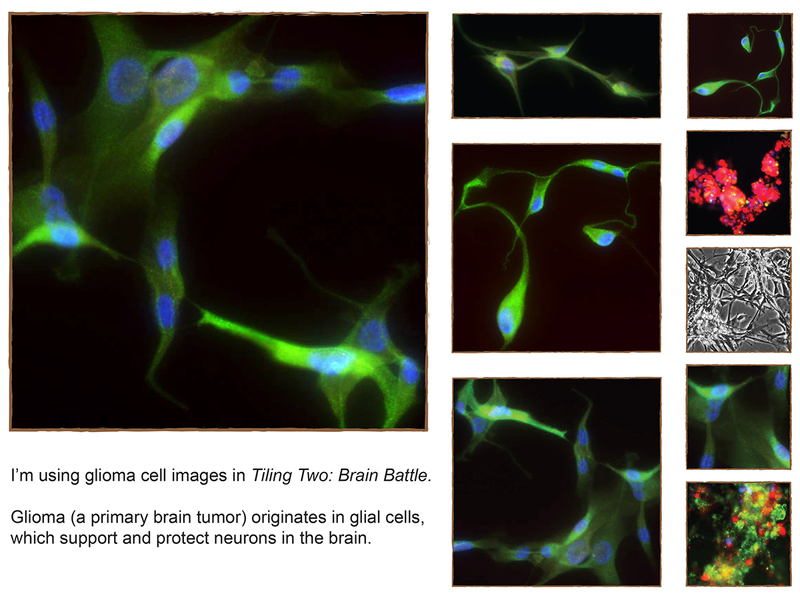 This entry was tagged arts, cell artwork, cell images, Glioma cells, Nancy C Qutub, Nancy Qutub, research efforts. Bookmark the permalink. I’m glad you like it. When you’ve seen the finished artwork, please let me know how you might have combined the images differently.